The Newark school board election is scheduled for tomorrow–but the results already are already in. Two winners: Ras Baraka, the city’s mayor. And the other winner–Christopher Cerf , the charter school champion, Chris Christie pal, and former city schools superintendent and state education commissioner whose snake oil consulting show continues to play–and pay–in Newark. The losers: Some 35,000 school children, their parents, and 4,000 school employees. Along with countless others who will hear hope die off-stage while the Big Show in town–orchestrated by Baraka and Company–presents a glitzy fantasy of local control, educational improvement and improved conditions for school employees. “It’s an illusion,” says Johnnie Lattner, a candidate for the board–one of the 10 who, barring a miracle, will not win tomorrow’s election, although he richly deserves to win. Although the community he represents richly deserves the opportunities a Lattner victory would represent. 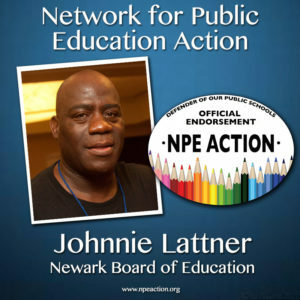 Lattner, who has been endorsed by the Network for Public Education Action (NPEA) is running in a loose coalition with fellow-activists Denise Cole and Yolanda Johnson. They were leaders of the anti-Christie forces before Baraka shut down most protests in a deal with the governor; they continued to work against Christie despite Baraka’s deal. Baraka’s machine–including state Sen. Teresa Ruiz (D-Essex) and city council members–is pushing for a pro-charter “unity slate.” Turnouts in such elections rarely reach 10 percent, so a well-oiled and well-financed organization is likely to swamp independent candidates like Lattner, Cole, and Johnson. Lattner, co-founder of PULSE (Parents United for Local School Education), has worked for years to reverse the destructive policies imposed on the city’s schools by Christie and Cerf and Cami Anderson. 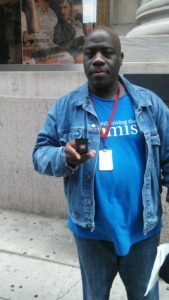 Policies like the One Newark enrollment plan–a cruel dispersal of the city’s children aimed primarily at ensuring the rapid growth of privatized charter schools that sucked money from conventional public schools. In 2014, then mayoral candidate Baraka demanded an immediate end to One Newark. But it never ended. Instead, Baraka, within months of becoming mayor, made peace with the school privatizers. He endorses pro-charter candidates on his so-called “unity” slates. He hired Cerf as municipal consultant and has praised his work. In Newark, Local control isn’t really local control. Thanks to Cerf and consultants like David Hespe–another former state education commissioner hired by Cerf to help run the Newark schools–the school board still faces another two years of strict state oversight. Built into that plan is further expansion of charter school enrollment–up to 45 percent, maybe more. In Newark, local control isn’t really democracy. The city is supposed to conduct a referendum to decide whether the school board should be elected or appointed by the mayor. Baraka says he will allow the people to decide. What a lie. What a joke. What an illusion. 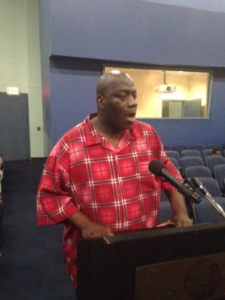 Baraka controls the school board by hiring its members. The latest “unity” slate contains two municipal employees and a charter school employee. The mayor, who will likely be re-elected next month, is building his machine–and that machine, with its state and county politicians on board, has endorsed his unity slate. It’s been a long time since Baraka, a long-shot against pro-charter Shavar Jeffries in the 2014 election, struggled against big charter money and, with small donations and organized employees, won election and brought a brief moment of genuine joy to the people of the city. But he didn’t beat Shavar Jeffries. He became Shavar Jeffries. 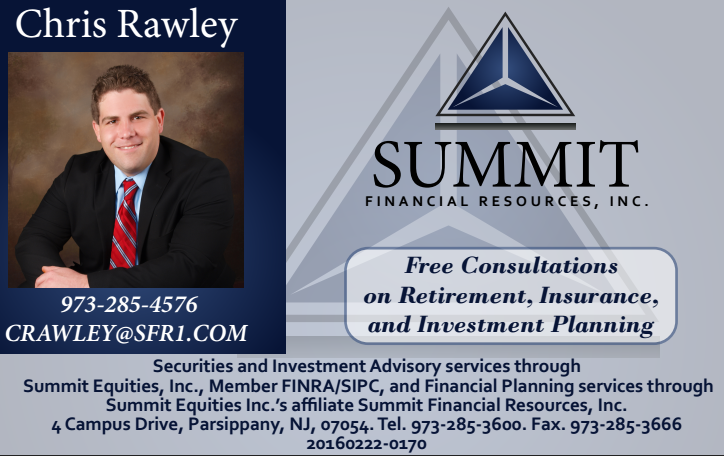 His board is rushing ahead with key decisions–like hiring a new superintendent. Three finalists will be named by May 15, according to the Cerf-devised transition plan. Dylan Bueno is buried. Did pressure from school contribute to his apparent suicide?